Exploring high potential blockchain projects has always been one of our visions as the People’s Exchange. After a strict screening process, we are pleased to announce the first project of KuCoin Spotlight: MultiVAC (MTV). 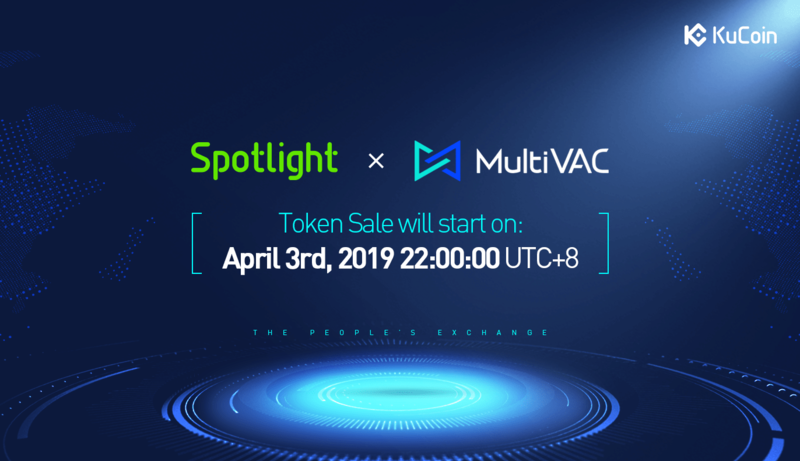 The token sale for MultiVAC (MTV) will start on April 3rd, 2019, 22:00:00, UTC+8.